LEARN. TRAIN. PLAY TO WIN. Ranked one of the top 25 tennis facilities in the U.S., the Greater Midland Tennis Center is the perfect place for casual and avid players alike! 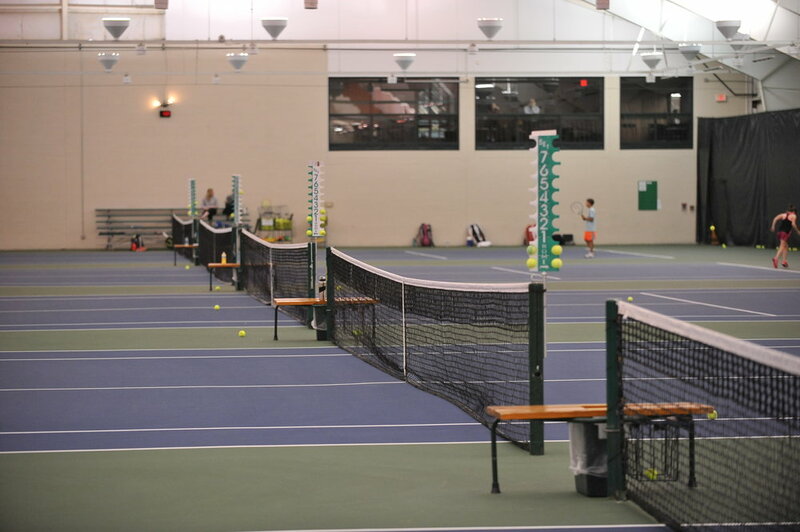 Our drop-in sessions, Play Tennis Fast, lessons, and countless of other programs taught by top tennis professionals, make it easy for you to explore our 39 different indoor and outdoor courts. 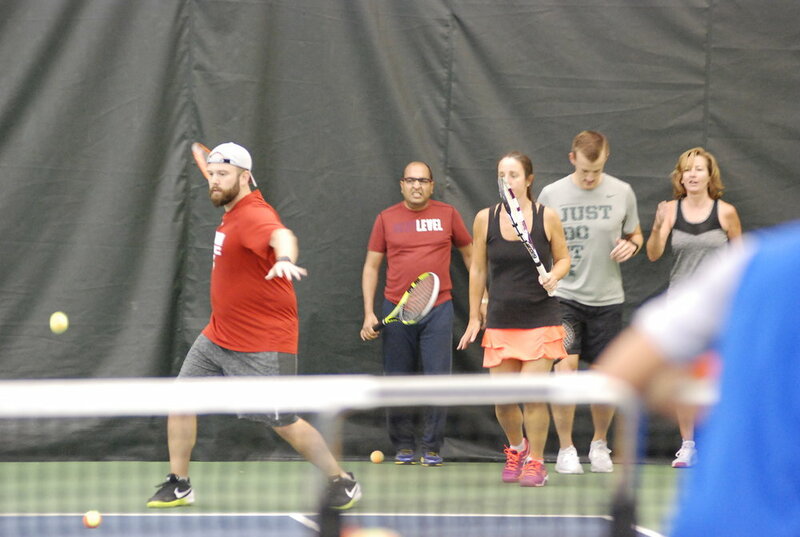 So meet our professionals, view our class schedule, or just poke around to see for yourself why Greater Midland Tennis is just that: GREATER! Every adult that goes through our programs can become the tennis player they want to be! We have classes designed for the pure beginner up to the advanced tournament player. Learn, train, play to win! Tennis Whizz, our national program for preschool- and kindergarten-aged children, will provide your child with a unique setting to learn balance, agility, control, coordination, and interaction with a coach and other children. These elements combine seamlessly to give your child not just an understanding of tennis, but a new range of athletic and social skills. Tennis classes sized just right for your child! These classes will get your child moving and learning the fundamentals of tennis, including swing patterns, rallying with a partner, covering the court, and how to be a gracious competitor. Designed for 6th through 12th grade players, these classes will train your child to be successful in tennis from the beginner through advanced levels. Have the luxury of an automatic court reservation every week! Permanent Court reservations are a great option for groups of four or more from June to September. Contact Ben at bdoornbos@greatermidland.org to set up your permanent court this season! Our world class professionals provide personalized instruction for an individual or a small group. Gain the skills to hit more winners and have more fun! Call the Welcome Center for more information. Racquets, shoes, stringing, apparel- our Advantage Pro-Shop is your one-stop shop for everything tennis! Our well-informed staff will provide you with amazing personalized service and accommodate many special order requests! Time on court with lots of fun games and prizes! Check out the Greater Midland Premier Membership for your complete fitness pass. Start young, play for a lifetime of fitness and health! From preschool to high school, our junior development programs are designed to build skill, confidence and to be fun too! Make tennis a lifelong sport! No matter if you are a novice or advanced player, we have programs for you. Play to win! With men's, women's, mixed, singles and doubles leagues for all skill levels, leagues are the perfect way to have fun, and compete, too. Our Advantage Pro-Shop is your one-stop shop for everything tennis. Racquets, shoes, stringing, apparel and more! You don’t want to miss this smash & splash mashup! A fun-filled night of tennis, pool games and activities lead by the Tennis Center Professionals and Greater midland Swim Staff! Join us for a Friday Fun Tournament! This tournament offers 40+ and 55+ divisions of all doubles. Grab a friend and join us! never played tennis before? No worries, this evening is for all skills levels! There’ll be fun games, drills, followed by cocktails and a potluck! Home to the Dow Tennis Classic: A USTA Pro Circuit Event inviting professional women from around the world to showcase and compete. A staple of Midland for 30 years, the Dow Tennis Classic hosts players and coaches from around the world to compete. More than just a tournament, the Dow Tennis Classic invites the community to watch, learn and enjoy the sport of tennis.